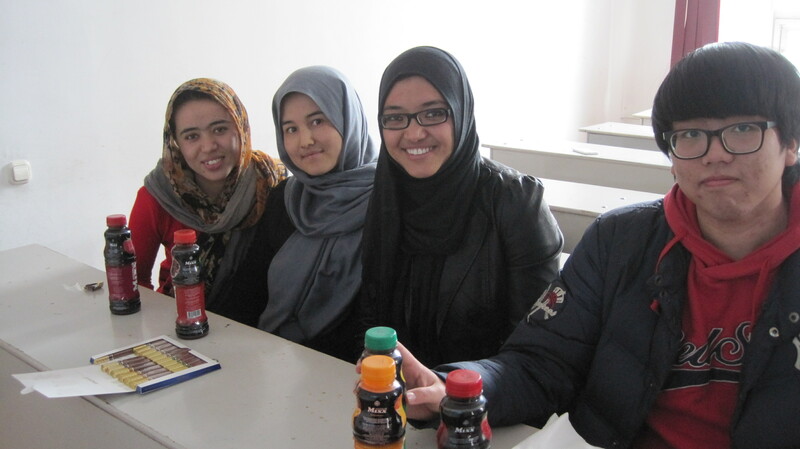 Rahela, Hajar, Benazir and Jungi—four students from my Effective Storytelling class. We meet twice a week. All are new to journalism’s architecture, vocabulary and particularities. This is the second photo I took during last Friday’s class. In the first, the four of them sat stone faced and looked at the camera as if they were being held on charges. I chided them, wiggled around in an impromptu hula, and this is the result. I also plied them with chocolates and sugar-laden fizzy drinks. How lucky it for them to have a wiggly hula teacher like you!